It was at the young age of three that Antwaun's mother, Khadija Stanley, first recognized his vocal gift. While sitting in the kitchen, in his yellow little tike’s chair, his mother was preparing dinner and singing “Amazing Grace,” all of a sudden he starts to sing the song. His mother was very surprised by how good he sounded. After telling family and friends about his voice, people wanted to hear him and Stanley made his singing debut at his great-grandmothers birthday dinner. By the age of four, he was singing at youth conventions and church functions across the country. It wasn't long after, 2004, that Antwaun was signed to Bajada Records. Although Bajada has brought in power-producers, they have allowed him to chart his own musical path. "It is a young style of music that genuinely ministers to the heart of listeners, and allows a one to one connection with God. I enjoy worship because it enables me to give praises to God through my own understanding of life and how much He means to me," Stanley says. “Worship is a different level; you actually go out there and communicate with God. 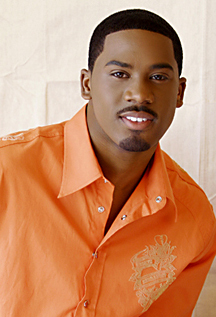 You don’t just go out there and sing.” Stanley has done just that and has since shared stages with gospel greats such as Kirk Franklin, J. Moss, Israel Haughton & New Breed, Pastor Donnie McClurkin, Pastor Marvin L. Winans and Martha Munizzi among others. 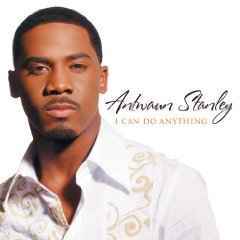 His debut release, I Can Do Anything, was released in 2006. Named after Antwaun's mantra which has carried throughout his life.